The registration of domain names under the Country Code Top Level Domain (ccTLD) .PA, is delegated to the Technological University of Panama (UTP), by Internet Assigned Numbers Authority (IANA) role played today by ICANN (Internet Corporation for Assigned Names and Numbers), according to the principles contained in the document RFC 1591 and is managed by Network Information Center Panama (NIC-Panama) or .PA Registry. The relation, between the UTP and the NIC-Panamá, was established in August, 1994 to carry out the functions related to the registry and the administration of the domain names under the CcTLD .PA. Its management complies with the ICANN Accountability Framework as well as the criteria and principles of RFC 1591 and related documents that allow the stability of the domain Name System (DNS) in Panama and the presence of domains under the ccTLD .PA related to the rest of the Internet. The cTLD. PA is responsible for ensuring the normal functioning of the technical elements of the DNS, so that Internet users can successfully validate the addresses of their domains. It is responsible for delegating the second and third level domain names under .PA and monitoring the distribution of technical identifiers used in Internet operations. Registration agreement: Set of policies for delegating domain names under .PA, policies for resolution of disputes, to the registry contract and the diverse policies established by the ccTLD .PA that establish the rules applicable to domain names under .PA. Applicant or Manager of the domain name account under .PA: The natural or legal person who requests and/or manages the account of the registration of a domain name. Authority: Any person with power, faculties and/or jurisdiction sufficient to exercise the function of control, aimed at achieving the implementation of issues related to these policies, procedures and its modifications or replacements, as well as any group of experts, arbitrator, agency or arbitration panel before whom the parties had been submitted in response to the policies and procedures described here. ccTLD: It is understood as the acronym used to designate first-level domain names, known as Country Code Top Level Domain. These acronyms refer to the classification in the system of domain names, represented by a suffix of two letters, assigned according to the world standard best known and widely used for the codification of country names, ISO3166-1. Contacts: Those objects created to facilitate the administration of a domain name. There are four types of contacts for each domain name: registrant, administrative, technical and financial. Days: The terms and periods established in days shall be understood as calendar days, unless they are specified as business days. Dispute resolution policy: The set of rules and principles adopted by the ccTLD .PA for dispute resolution in relation to domain names registered with the registry and duly published. Domain name registrant or entity under the .PA: The natural or legal person under whose ownership the domain name is delegated. Registration Fee: The amount paid for the registration of a domain name under .PA. 1.1. 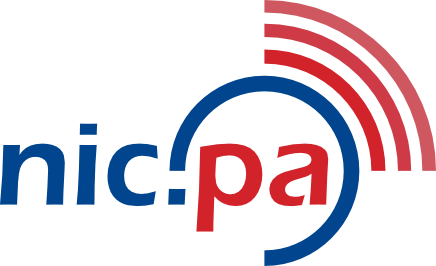 The .PA Domain name registry, called NIC-Panama (Network Information Center Panama) or Registry .PA, is the authority responsible for the allocation and registration of domain names under the ".PA" domain in the Internet. 1.3. The delegation of domain names under the ccTLD .PA will have as guiding principle the "first come, first to be served" (first come, first served). 1.4. These rules may be modified by NIC-Panama at any time. Such modifications shall be disseminated and entered into force in the next renewal of the domain name. 1.5. Upon completing and submitting a domain name request for registration, the applicant, registrar and holder accept that they have read, know and agree to the policies and procedures established by the NIC-Panama. 1.6. The holder may modify the delegated domain name under the ccTLD .PA or renounce it in accordance with the procedures established by the NIC-PANAMA for such purposes. 1.7. Any natural or legal person, national or foreign, may register a domain name in NIC-Panama. b. Fulfil with the syntax rules set out below. c. Is not within some of the limitations mentioned in the rule concerning prohibitions. 1.10. The title, authority and ultimate responsibility of a domain name under .PA always falls on the organization or person for whom such domain (registrant or holder) has been registered. In particular, an Internet service provider is not a holder or administratively responsible (may be at the technical level) of a registered domain for an organization or person that gives service; this is way independently regardless of whether the provider has made an intermediary with NIC-Panama for the registration of that domain or that the provider is managing, by delegation of the Organization, the primary DNS server associated with the domain. An important consequence of this rule is that an organization or person may retain the same domain name under "pa" regardless of vendor changes or that it is connected to several vendors at the same time. 2.1. The request through the application form of delegation of domain name, the Applicant declares and warrants that, to his/her knowledge and understanding, any information provided on the form is correct and true. 2.2. For the purpose of requesting the registration of the domain name, the applicant shall be required to provide all the information demanded in the request for the delegation of a domain name. The Registry shall take reasonable precautions to protect such information from the loss, misuse, unauthorized access or disclosure, alteration or destruction thereof. The NIC-Panama will establish its personal data protection policies so that the personal data that can be obtained by this process are protected. 2.3. NIC-Panama reserves the right to cancel the domain name if in this registration agreement, or in subsequent modifications thereto, false or misleading information is found or any information that the registry would probably have considered essential for its decision to accept the application for the domain name and delegate the domain name to the owner. 3.1 The NIC-Panama registers domain names under the second and third level of domain names .PA. 3.3.1 Unrestricted delegation domain names under third level .PA. The request for registration of domain names under a third unrestricted level of .PA (i.e. domains of type dominio.segundonivel.pa), shall conform to the syntax rules and respect for the limitations set forth in this document. 3.3.2 Restricted delegation domain names under third level .PA. This subdomain will only be assigned to institutions or institutions of higher education or research. This subdomain will only be assigned to educational institutions or organizations, such as schools, colleges, universities, institutes, training schools and educational projects. This subdomain will only be assigned to Internet service providers. This subdomain shall only be assigned to non-profit institutions or entities, such as foundations, non-governmental organizations, civic, sporting or political associations. This subdomain is only assigned to Panamanian Government agencies or institutions. This subdomain is assigned only to health institutions or agencies, such as hospitals, health centers, clinics and medical centers. This subdomain is assigned only to natural persons. This subdomain is assigned only to professionals in the area of law (Lawyers). This subdomain is assigned only to professionals of the engineering area. This subdomain is assigned only to medical Doctors. 3.3.3 There is no limit to the number of domain names that can be requested, neither are limitations to the transfer of domain names, any time the established procedures are fulfilled. 4.1. The characters that can be used to form a domain name will be the letters of the English alphabet in lowercase (a b c d e F g h i j k l m n o p q R S t u v w x y z). You can also use the digits (0 1 2 3 4 5 6 7 8 9) and the script ("-"). 4.2. In the case of the script ("-"), it cannot go to the beginning or end of the character combination requested, nor can it be used in the third and fourth positions simultaneously, nor appear two consecutive scripts. 4.3. The total length of the domain name must not exceed the 63 characters. The minimum length for second-level domains is 2 characters. The minimum length for third-level domains is 2 characters. 4.4. The domain name must not be an obscene word or cause damage to third parties. 4.5.1. A domain name will not be accepted when it is composed exclusively of a toponymic that makes reference exclusively to sites in Panama (http://www.nic.pa/es/terminos-reservados). NIC-Panama reserves the right to grant a toponymic, of which the present article refers, provided that the use thereof is made for a project of social benefit direct to the community to which this term refers. 4.5.2. A domain name cannot be registered under the ccTLD .PA containing the word "bank" if the domain name holder does not have the respective authorization (license of the Panama Banking Commission) or the Superintendence as the case may be, according to the Article 24 of Decree Law No. 9 of 26 February 1998, "by which the banking regime is reformed and the Superintendence of Banks is created". This condition applies to the six (6) official languages of the United Nations Organization. 4.5.3. A domain name that is identical or misleadingly similar to the country's name shall not be accepted, each time the domain name applicant has no right or legitimate interest in the requested name, as well as when the nature of the domain name is such as to mistakenly induce Internet users to believe that there is a link between the applicant for such domain and the constitutional authorities of the country, according to the WIPO Standing Committee on trademark Law, industrial designs and geographical Indicators, held in Geneva from 11 to 15 November 2002. This condition applies to the six (6) official languages of the United Nations Organization. 4.5.4. NIC-Panama may reserve certain domain names, which may not be registered by third parties, when this is necessary for reasons of security, stability or good functioning of the DNS (http://www.nic.pa/es/terminos-reservados). 5.1. As retribution for the delegation of a domain name under the ccTLD .PA, you agree to pay the registration fee and subsequently on the date of renewal the renewal fee. 5.2. Shall not be refundable payments made in relation to the domain name registration or renewal of the registration of the domain name. 5.3. The registration fee corresponds to the domain name delegation during a period of two years. At the end of this period, if the holder does not pay the renewal fee within the specified period will cancel the registration of the domain name. 6.1. The applicant declares and warrants that it has endeavored as far as possible to determine that the registration of the domain name and the manner in which it is used directly or indirectly does not infringe or otherwise violate the rights of third parties. 6.2. The applicant declares and warrants that, in its loyal knowledge and understanding, the registration and use, directly and indirectly, of the domain name does not violate any applicable legislation or regulations. 6.3. The applicant agrees that NIC-Panama will not be responsible for any damages that may result from accepting a request for registration of a domain name submitted by the applicant. 6.4. NIC-Panama does not accept any responsibility for the use of the domain name or the information generally maintained in the registry and, in particular, for any conflict with trademarks, registered or unregistered, or with any other type of rights of intellectual property. In the event that the holder carries out a serious violation of any provision of the registration agreement, the NIC-PANAMA, using its exclusive faculties, shall have the right to cancel the registration of the domain name, without the proprietor being entitled to any refund and without prejudice to any other legal means to which the registration is entitled. NIC-PANAMA may vary the terms and conditions of the registration agreement in the renewal or transfer of the domain name registration. All transfers and renewals must be in conformity with the clauses and conditions in force at the time of the transfer or renewal and, in the case of the transfer, must have been accepted by the assignor. -If after the renewal period of the domain name registration has been completed, the holder would not have made the total payment of the associated fee. This suspension will be made during a period of 23 calendar days, after a grace period of 7 calendar days, in which the holder will be able to make the payment of the domain name and the suspension will be lifted. -When it has been ordered in judicial or administrative resolution or arbitral award. -By falsity in any of the data provided to the registrars or to NIC-PANAMA, both in the application for registration and in subsequent communications. -When the periods and extensions established have expired, the payment of the fee associated with the annual maintenance of registration of the domain name has not been received. -When established in accordance with the dispute resolution policy in respect of domain names delegated under the ccTLD .PA. -At the express request of the account holder or administrator. In this case it will be cancelled the same day of the request. After the revocation of the registration of a domain name, it may be requested by any third party, according to the policies of delegation of domain names. 4.1. At the request of a party. Any owner of a domain name may transfer the same to a third party. You will need to fill out the Domain name transfer form. In this case, the transfer procedure must be requested by the administrative contact duly accredited by the owner of the domain name (in the case of being the same it will not be required the accreditation). 4.2. The will expressed in a testament is considered to be within the course of transfer upon request of part. Once the will is presented the same will be a manifestation of the willingness of a party whose processing will be carried out according to the prescribed in the preceding paragraph. In the event of an unsuccessful succession, the registry of a domain name will be transferred under the ccTLD .PA in favor of the person (s) declared heir(s) of the holder of the domain name in question, according to the corresponding Notarial act of succession untested. 4.3. By order of administrative or judicial authority. A domain name will be transferred under the ccTLD .PA in compliance with a resolution issued by the administrative authority or firm judgement issued by the competent court. By agreement of the dispute resolution body and in conformity with the dispute settlement policy in respect of domain names delegated under the ccTLD .PA. It will be necessary for the improvement of the transfer, that the new proprietor expresses the acceptance of the terms and conditions of the registry through the completion of the respective registry contract. The cost of the transfer of ownership of the domain name shall be equal to the normal registration value in force at the time of assignment. The new holder assumes the rights and obligations linked to the registration. 5. Domain name modification is the change to domain name-related information and will be made by the account administrator. Any request to modify the domain name from the Account Manager will be valid as long as it is within the established rules, and if the registration or renewal payments of that domain are up to date. 5.1.1. Updating the data of the registrant or registered entity. The change to the name of the registrant is excepted. 5.1.2. Updating of contact data (administrative, technical and financial). 5.1.3. Update, add, or delete nameservers (DNS) and IP if the case warrants it. 6.1. At the request of a party. Any domain name holder may transfer the administration of your domain name from an account administrator to another account administrator. You will need to fill out the Account Manager change form. NIC-Panama, in compliance with the policies recognized as standard for the management of domain names, will keep the information that the applicants have provided protected. However, for the correct operation of name resolution systems and WHOIS systems, the following information will be made available to the general public: domain name, name of registrant or holder, names and emails of contacts Administrative, technical and financial, names of name servers (DNS); as well as the dates of delegation (creation), renewal and updating, and the status of the domain name. The only exception to this policy shall be when an application is received by means of a recognized and relevant authority in relation to illicit activities being carried out at a registered site. In this case, NIC-Panama will provide the required information related to the owner and administrator of that domain name. If some kind of controversy arises around a register and the use of a domain name, by the mere fact of submitting its application, it is understood that it is accepted to undergo the administrative procedure of dispute settlement or disputes established by NIC-Panama according to the regulations of procedures for this specialized field. For such purposes, NIC-Panama, as Administrator of the ccTLD .PA has adopted the ICANN uniform Domain Name Dispute resolution policy (UDRP) as a dispute settlement policy. An agreement has been made with WIPO to be its arbitration and Mediation center who manages the controversies arising in NIC-Panama, in relation to the domain name registries under .PA. The official means of communication between NIC-Panama and the applicant/holder is understood to be the e-mail. All communications from the NIC-Panama to the applicant/holder and the contacts will be made via email to the email address they have indicated in their application for registration, being of their sole responsibility that the They operate correctly, as well as notifying of any changes in those directions. These addresses will be sent notices of registration, renewals, payments, etc. Communications sent to non-updated addresses will be considered as delivered. The information published at that site shall be understood to be known to all users of the domain name registry .PA, and NIC-Panama will not be forced to make any other type of publication.